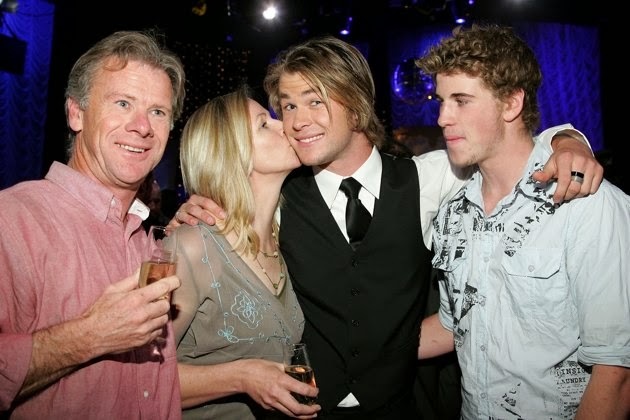 “Thor: The Dark World” starring Chris Hemsworth hits theatres today – but he’s not the only Hemsworth with a major film coming out this month. His little brother, 23-year-old heartthrob Liam, stars alongside Jennifer Lawrence in “The Hunger Games: Catching Fire” which will be in theatres in just two weeks. And while the dreamy brothers have hit superstar status now – they haven’t always been so famous – or so dapper. Behold: these super cute photos from 2006, when Chris was just starting to make a name for himself, and before Liam even made his acting debut. 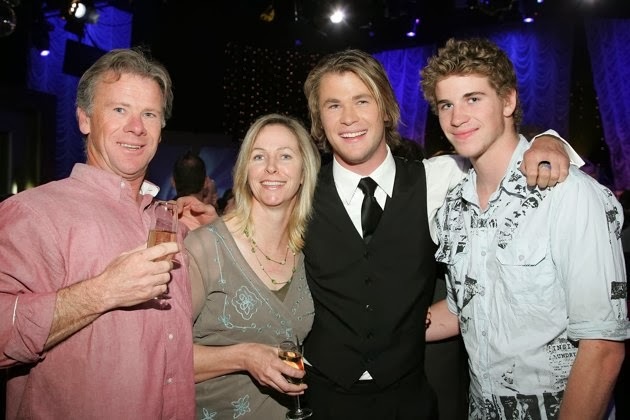 In one of the photos, taken at a Dancing With The Stars after party, the Hemsworth brothers pose with their mom and dad for a family snap.